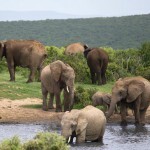 Come and join our singles group tour of South Africa encompassing spectacular scenery, unique culture and history, and the opportunity for some fascinating wildlife encounters. We begin in Cape Town, a singularly beautiful city crowned by the magnificent Table Mountain National Park, and follow the Whale Coast and the Garden Route en-route to Johannesburg. With pristine beaches flanked by rivers and rolling mountain ranges dotted with lush forests and valleys, the Garden Route is undoubtedly one of the most picturesque regions in South Africa, and one of the most spectacular stretches of coastline in the world. After sightseeing in Pretoria and Johannesburg we spend 6 nights on safari near Kruger in search of the big five: lions, elephants, leopards, rhinos and buffalo. 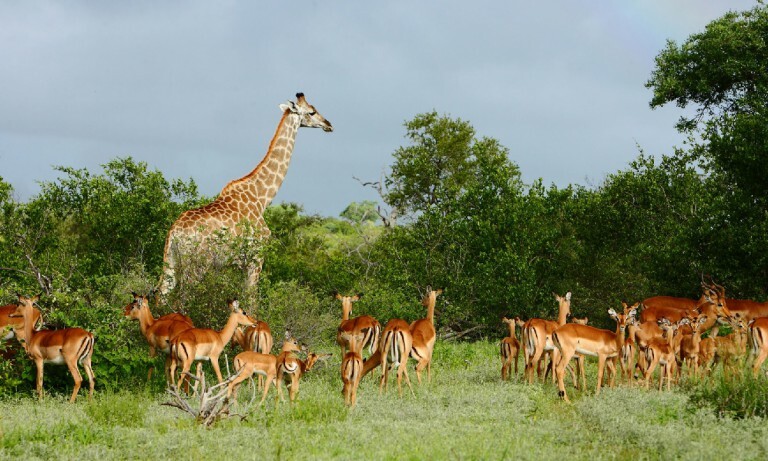 This tour is perfect for first time travellers to Africa or repeat visitors wanting to see more of this spectacular country and still combine it with exciting safari experiences in search of the ‘big 5’. Accommodation: Commodore Hotel (or similar) 3 nights With panoramic views of Table Bay and Table Mountain, The Commodore is decorated in a nautical theme. It features an outdoor swimming pool and sauna, fitness and massage facilities. The Commodore’s air-conditioned rooms include free Wi-Fi, satellite TV and a private bathroom with bathtub. There is 24-hour room service and a 24-hour reception. The business centre offers complimentary internet access. Guests can enjoy a work-out in the gym or book a relaxing massage in the spa. When weather is nice, the partly shaded terrace offers a relaxing setting for a drink or snack. Apart from a breakfast buffet, Clipper Restaurant serves an à la carte menu featuring seafood dishes and regional wines. The Admiralty Bar and Lounge provides a 24-hour cocktail menu. The Commodore Hotel is situated adjacent to the V&A Waterfront, a 10-minute walk from Cape Town Stadium. Cape Town International Convention Centre (CTICC) is 2 km away while Cape Town International Airport is 25 km away. 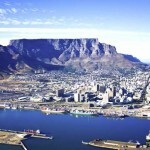 Day 2 07 August, 2019 Cape Town After breakfast we begin our full day tour which includes Table Mountain return tickets, Robben Island Tour, visit to Castle of Good Hope, visit to Cape Town Museum Breakfast and dinner included Cape Town is one of South Africa’s most historically important cities. It was here, in the Mother City, where the first European colonists set foot in South Africa—which also marked the beginning of the South African slave trade. 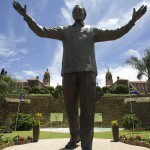 It was home to perhaps the world’s most famous political prisoner—Nelson Mandela—who was held on the tiny Robben Island in Table Bay. 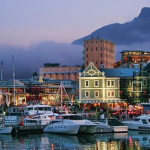 Cape Town is a melting pot of colour, creativity and cuisine and with stunning art, great food and wine, spectacular scenery and historic sites is regarded as one of the most beautiful cities in the world. Accommodation: Protea by Marriott (or similar) overnight The luxurious 31-roomed Protea Hotel Mossel Bay is a graceful landmark, built in 1846, overlooking Santos Bay and harbour. Nestling on the Mossel Bay shoreline with the majestic Outeniqua Mountains as a backdrop, the Protea Hotel Mossel Bay is singled out from other establishments. 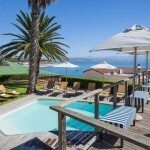 Protea Hotel Mossel Bay is situated 5 min from Santos Beach. As sunset arrives, visit the Legendary Blue Oyster Cocktail Bar, with its own special ambience, pool deck and superb sea views, is the perfect place to kick off a decadent evening out or simply just to relax and enjoy the sunset with an aperitif before dinner. Added attractions are the close proximity to shopping facilities, the yacht club, harbour and north-facing, sun splashed beaches. As part of the museum complex, the Maritime, Local History and Shell Museum, as well as the Old Post Office Tree, are all within strolling distance. The new golf estate is 2km away and the airport a 20 minute drive. 29km from Oudtshoorn, at the head of the picturesque Cango Valley, lie the spectacular underground wonder of the Klein Karoo – the Cango Caves. 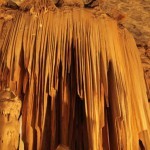 Situated in a limestone ridge parallel to the well known Swartberg Mountains, the Cango Caves are a series of dripstone caverns that open into vast halls of towering stalagmite formations with names like ‘the bridal couple’, ‘glass flower fantasy’, ‘weird cango candle’ and ‘the hanging shawl’. These are some of the biggest stalagmite formations in the world set in Precambrian (a time about 4500 million years ago) limestone. Accommodation: Mooiplaas Guesthouse (or similar) overnight Mooiplaas Guesthouse is a luxury guest house situated on a working ostrich farm, within 11 km of Oudtshoorn. 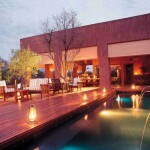 This owner-managed property offers views of the Swartberg Mountains, an outdoor swimming pool and an on site spa. 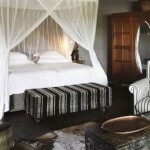 Rooms are individually-decorated to create a stylish atmosphere. They all feature a en suite bathroom. The property offers free WiFi. The main manor house features a dining room, an outdoor patio with barbecue area and a swimming pool. Guest facilities include a private tour of the ostrich farm, as well as hiking and mountain bikes are available for hire. Accommodation: The Beach Hotel (or similar) 2 nights Our hotel is 2 minutes walk from the beach. Located along the beachfront in Port Elizabeth and with views of the Indian Ocean, The Beach Hotel offers brightly decorated rooms with air conditioning. It features 3 restaurants, a pool and a sun terrace with ocean views.The individually decorated rooms feature heating, a satellite TV and tea-and-coffee making facilities. Guests can sunbathe poolside, relax on the sun terrace and enjoy a variety of cocktails or refreshments from the bar. 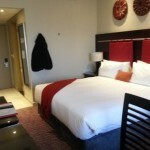 Day 8 13 August, 2019 Port Elizabeth – Johannesburg Morning is at leisure before we transfer to the airport and our flight to Johannesburg. On arrival transfer by hotel shuttle to to our hotel. Accommodation: Peermont Mondior (or similar) 2 nights Breakfast and dinner included Closely situated to O.R. Tambo International Airport in Johannesburg, the hotel features 150 spacious rooms and suites which are all fitted with cutting-edge technology and furnished in an elegant and contemporary African style. The chic Oriana restaurant offers breakfast and light meals and guests can enjoy a delectable cocktail at the Silver Moon Bar. Hotel guests have access to the casino, dining, entertainment, convention and relaxation facilities at the Emperors Palace Hotel, Casino and Convention Resort. Day 10 15 August, 2019 Johannesburg – Hoedspruit – Timbivati Game Reserve – Motswari We have an early breakfast before transferring back to the airport and our flight to Hoedspruit. We’ll have lunch when we arrive and then a briefing before our afternoon game drive.Each day we’ll have game drives in open Land Rovers at sunrise and sunset to ensure an unforgettable game viewing experience. Day 11 & 12 16 & 17 August, 2019 Motswari Game Lodge Morning and afternoon game drives each day. 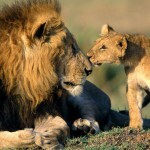 All of Africa’s Big Five are abundant in the area, as are countless numbers of other naturally-occurring African Plains Game which traverse the open boundary between Motswari and the Kruger National Park. 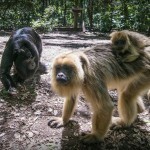 Our guides are residents of the area and have, in addition to the scientific knowledge , an intimate knowledge of the location and wildlife that comes from a lifetime of co-existence with their surrounds. 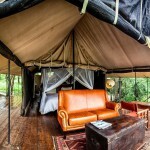 Day 13 18 August, 2019 Motswari Game Lodge – Honeyguide Mantobeni Tented Camp After an early morning game drive, we have a private transfer by road to arrive in time for lunch, relax by the pool and then an afternoon game drive. 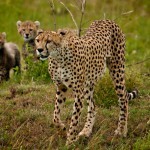 Day 16 21 August, 2019 Honeyguide Mantobeni – Hoedspruit – Johannesburg Time for our last early morning game drive before we leave for the airport and our flight back to Johannesburg. Remainder of evening is at leisure. Day 17 22 August, 2019 Johannesburg Sadly our safari has come to and end after breakfast this morning. We would be happy to assist with your onward travel arrangements.